Don’t let your waist be a victim of the baker’s tax. Baker’s tax occurs when the person preparing the baked goods must sample each edible ingredient, such as chocolate chips, dried fruit and nuts, before it’s added to the bowl. 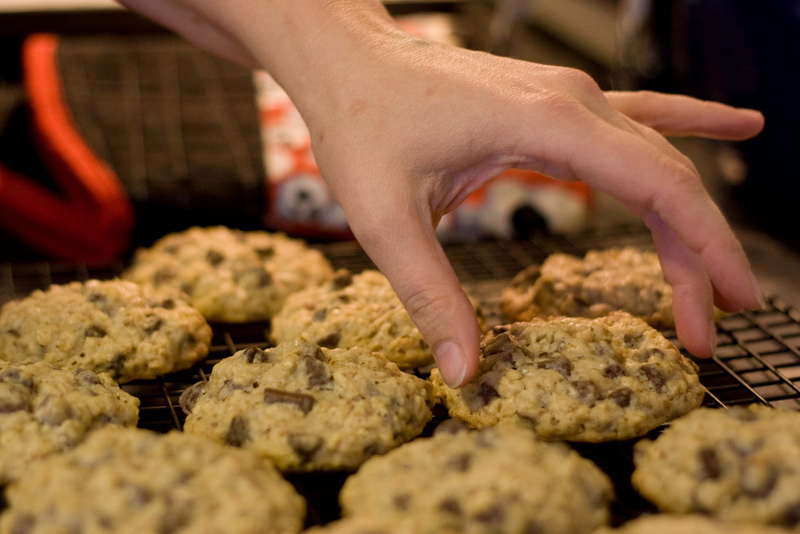 Another example of this is sampling at least one cookie as each pan is removed from the oven. How much the tax is depends very much on hungry the baker is. To avoid paying these taxes, bake at a time when you’re less likely to nibble. For example, baking right after breakfast is an opportune time to save on taxes. When you do decide to sample your delicious creations, don’t do it standing up. Serve yourself a generous portion and savour it with a hot drink, sitting at the table.